A child’s first microscope can forever change their lives. This one item could be the key that unlocks a curiosity for science that can grow into a lifelong love of exploration. If you are thinking about purchasing a microscope for your child, you should find one that they will be able to use easily. The best microscope for kids depends on many different variables. I tried to bring together all the information you will need when trying to find one and explain them as clearly as I could. After you finish reading this guide, you should be able to find the exact microscope that will be the best for your child that includes all the features for your child will need. What is the Best Microscope for Kids in 2019? Buying a best microscope for your child can be an eye-opening experience for them. It has many educational qualities and can help them better understand the world around them. A microscope encourages activities that introduce children to the world of biology and can spark a curiosity that will burn for the rest of their lives. It provides you child with the opportunity to learn and express their creativity as they examine new things. A high-quality microscope can follow a child into young adulthood while they continue to study for school. This best microscope for kids is a handy little microscope for beginners. 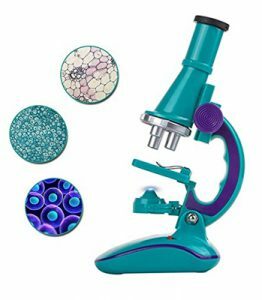 Educational Insights Nancy B’s Science Club Microscope includes 30x–400x light and dissecting microscope with rubber eyecup and focusing knob, 26-piece scientific toolset, and 22-page activity journal. Also, it comes with a handy little book with projects to make your own slides. It has 2 lights, which help to view slides and 3 magnification levels. But the light really isn’t bright enough on the microscope to support much stronger magnifications. This toy microscope might fool you into thinking it’s more serious than that. It really functions quite well, especially for its purpose, which is to introduce children to science. Kids all over the world are fascinated with playing in the dirt. With that fascination comes an interest in the insects they sometimes find on and in the earth. Now there’s a way for your child to see this tiny creatures-and more-from the comfort of your home. The Junior Scope Microscope for Kids is built in a way that makes it easier for children to learn about the many cool things that are possible to be seen under a microscope. It’ll keep them out of the dirt, and the bacteria that’s picked up from it. The microscope is white in color, having two bright knobs located on the and bottom of the scope to aid in focus. It includes everything in the box that your child will need to prepare their first slide. You probably should help them, however. A book is included and provides lots of fun activities that are possible with the machine. There’s few negative to speak of but they do exist. While magnification is possible, the focus becomes more tedious when attempting the clear up the screen. And you might need a replacement LED light; the one included is pretty dull and may even go out within a few month’s time. If these inconveniences don’t bother you, consider the JuniorScope if your kid shows an interest in science and the molecular world around them. 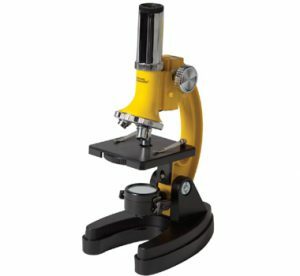 This microscope is not what you should be looking at if you are looking to purchase a real microscope. This talking microscope helps your child learn about nature up-close. This microscope can encourage the curiosity of a small child with the 12 slides that are included and ability to focus up to 5x magnification. There are a quiz mode and a fact mode that provides interactive entertainment. I think that this product and any others like it should be avoided. They give a child the impression that a microscope is a toy instead of a tool. A child of the same age can use a stereo microscope just as easily as they can use this. Find them something like that and don’t buy one of these. The Educational Insights GeoSafari Jr. My First Microscope is another children’s toy. It’s meant to get younger children interested and excited about science and introduce them to magnification. They can magnify any small object up to 8x magnification. This best first microscope for kids is designed to be used by pre-school aged children. It encourages exploration and scientific observation. It rewards a child’s curiosity and inspires in them a love of science. This is another product that should be avoided that will give young children the wrong idea about microscopes. They should start with a real microscope that they show respect for, not a toy that tries to emulate the real thing. The Learning Resources Zoomy 2.0 is a handheld digital microscope. This best microscope for students was created to help meet the needs of a modern classroom. It is a powerful handheld microscope that encourages little learners to look at the world around them more closely. Magnify an apple, a coin, or a drop of water up to 54x. It works with PCs and Macs connecting to a standard USB port. The Learning Resources Zoomy 2.0 can also be hooked directly to a projector. It can output 640×480 pixels using VGA colors. Can also take pictures with a resolution of 1600×1200. 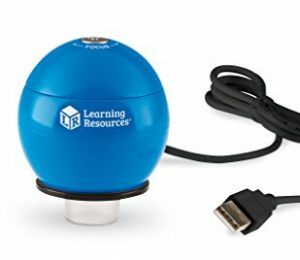 This is an interesting device that has a lot of uses in an educational setting. Although the student doesn’t get to touch the device itself, they are aware of what it is doing and can follow along. This is a product that could completely change the way younger children are taught science. Instead of having a microscope for each student to use in class, everyone can see what the Zoomy 2.0 is focusing on. I think this is a great product. The My First Lab Duo-Scope Microscope model MFL-06 is a much better choice than the first two microscopes reviewed. It has a reasonable price and features magnification of up to 400x. This allows a young scientist to examine blood cells and organ tissue on real slides. The Duo-Scope gets its name by having the ability to be used as a compound microscope or a stereo microscope. This is a microscope that a young individual can grow into. This microscope is an authentic biological microscope and is not a toy. It’s scientific grade featuring up to a 400x magnification. Its design is meant to be easily portable and has a pretty durable construction. Along with the Duo-Scope, you’ll get five blank slides, four prepared slides, blank labels for slides, cover slips, plastic droppers, two non-toxic stains, forceps, lens paper, a test tube, a petri dish, and a teasing needle. 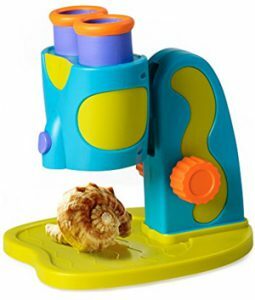 This is an excellent choice for a child’s first microscope. It is durable and versatile. The ability to be used as both a stereo and compound microscope opens up a lot of possibilities. This is a great microscope for a young kid. The National Geographic Series 1200x Microscope set is the perfect buy for a new scientist. It’s ready to use as soon as you take it out of the box. 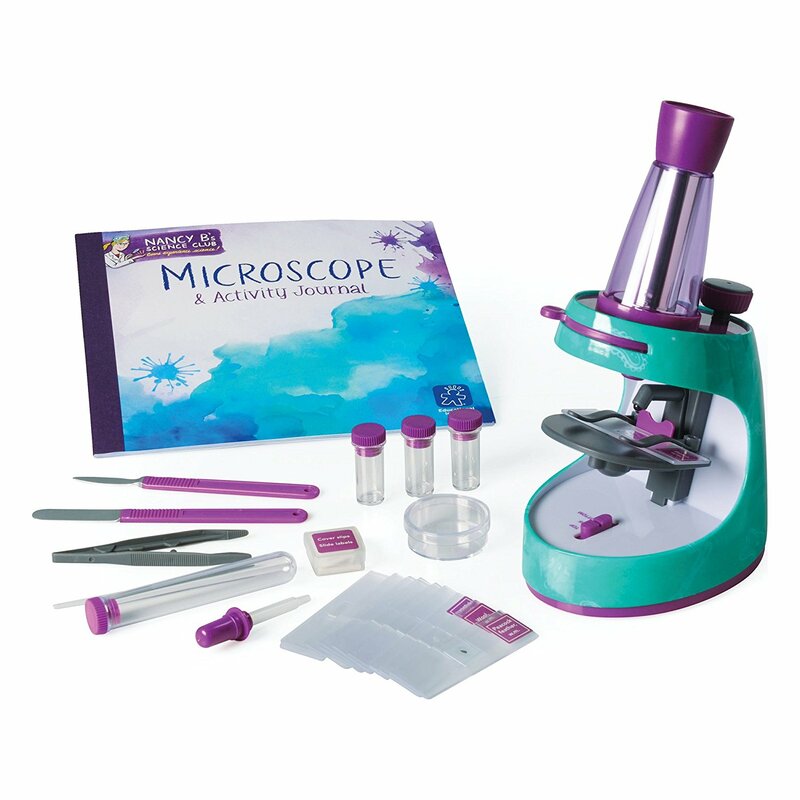 This best microscopes for beginners has a durable and solid die-cast construction allows it to stand up to frequent use. The projection window allows more than one person to look at a slide at once. This is a great addition that can help in a school setting or by keeping siblings calm. Included in the set are a pipette, a scalpel, tweezers, a shrimp hatchery, and a magnifying glass letting you start your research instantly. The extra hard case that everything goes in is a great addition for transporting and storing. Three lenses magnify at 5x, 20x, and 60x. The turret allows for anywhere between 5x and 60x magnification. An additional eye piece can zoom from 10x to 20x. There is a projection eyepiece that allows you to trace the image you see on slides. 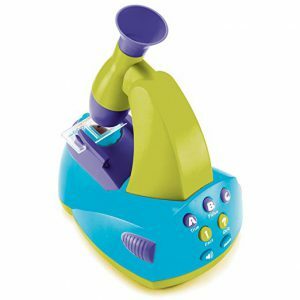 This is another great choice for a child’s first microscope. 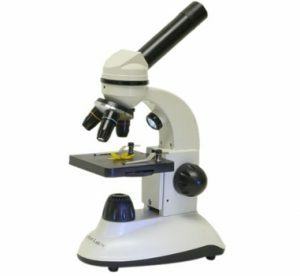 It is made from high-quality materials, is reasonably priced, and offers many things that you should be looking for in a microscope. That’s it for the reviews. I hope that they were informative and helped to point you in the right direction. The best microscope for a kid has many important characteristics that make it the best choice. I hope that the information I provided in the buyer’s guide helps you to pick out the features you want in your child’s microscope. If you follow that guide you should have no problem finding exactly what you want if you look hard enough. Good luck. When looking at microscopes, you should be aware that there are two different types of light microscopes available; stereo and compound. Both of these types have their own features that make them more suited for different purposes. Which is the right type for your child depends on a few important factors? A stereo microscope is suitable for looking things like plants or insects. They are sometimes called dissecting microscope because they are preferred when observing animal dissections. A stereo microscope usually has a top light source giving the viewer better visibility of a three-dimensional object. A compound microscope is perfect for observing the things that are on a cellular level. This type of microscope would be used when taking a look at slides of specimens. They also have the ability to magnify what they are focused on for better clarity. This type of microscope has a light on the bottom that shines through a specimen that has been prepared on a plastic or glass slide. 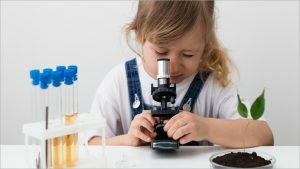 Which Type of Microscope is Better for a Child? The biggest factors that will help you determine which type of microscope is better for your child is the age of the child and what they are interested in. If the child you are purchasing for is under the age of 10, a stereo microscope is the better choice since it is simpler to use. Children of this age are interested in large items that they will be able to view with their new microscope. For a child over the age of 10, a compound microscope will likely be a more interesting device for them to use. They will be able to see things that they are unable to see with their naked eye and even prepare their own slides for viewing. The biggest difference in these two types of microscopes is the intensity of the magnification. A stereo microscope has a maximum magnification of 300x, while a compound can magnify greater than 1000x. This provides for more clarity when looking at microscopic things. When choosing a microscope for a child it is important to keep in mind that there are microscopes with one eyepiece, called monocular, or microscopes with two eyepieces, called binocular. A monocular device may be easier for your child to see through. If both eyepieces on the binocular microscope do not have the same distance separating them as the distance between your child’s eyes, they will not be able to see through it very well. Many microscopes do not have adjustments for the distance between the eye-pieces. It is a better option to buy a monocular microscope to avoid any issues like that. Since you know about the two types of microscopes, you may have a better idea of what to looking for. I also put together in this buyer’s guide as many characteristics as I could that you should look for in your child’s first microscope. If you want a microscope that is of a higher quality, you need to pay close attention to the materials that it is made out of. Lenses that are made of plastic are of a lower quality than ones that are made of glass. The material that the body and the arm of the microscope are made out of should be metal. If they use a lot of plastic parts, you should find a better product. Keep the quality of the materials a top priority when choosing a microscope for your child. You should next consider what your child might use the microscope for and how it will get used. A durable microscope that has some weight to it is a good option in some cases, but what if your child wants to take the microscope with them outside to see the world? Having a child that is adventurous should make you realize that they will need a lighter device that they can carry with them comfortably. You will also need to find a battery-powered microscope for your child’s portability needs. The majority of microscopes that are meant for kids include accessories. Finding a microscope that includes a lot of extras will provide your child with more things to do with their gift right off the bat. A compound microscope should include many different prepared slides to examine. It should also come with some blank slides so your child can make their own. Some kits include stains and dyes that are used with specimens. Look for accessories that your child is likely to use and enjoy. The cost is another important factor when you’re looking to purchase a microscope. Prices range from inexpensive to expensive. If you have a budget, look for a microscope that fits into it while still providing additional features. It may take some searching to find the right device at the right cost. Take your time and make sure that you get everything that you want with your purchase. Simply put, the best starter microscopes available will probably set you back around $200. If that number fits in your budget, great. If not, some other options provide a relatively clear image. Cheaper microscopes will be a little harder to use and won’t be as sturdy or durable as their more expensive counterparts. A microscope that is similar to what high schools and colleges use cost a little closer to $400. You likely won’t have any need of a microscope that is more expensive than $400. Usually, optics and specialized lenses can quickly increase the cost of a microscope. The advanced optics are more expensive than the device itself but don’t add that much to the viewing experience. Will My Child Need Help When Using a Microscope? After the first initial use where you educate your child on how to use the device, they will likely not need your help any longer. You must also teach them that it can be damaged easily and they should be careful with it. Observe and direct your child for a little while. This can be quality time that makes a huge impact on their future. The cheap plastic toy microscopes should be avoided. They have no real educational value and will teach your child that a microscope is a toy. If thinking about buying one, go with a cheap stereo microscope instead. This device will provide a much better learning experience and be a lot more fun to use. If your microscope did not come with a guide-book, you should find one that offers simple instructions and contains terminology and definitions that they may be unfamiliar with. Finding one that has some great pictures may help to keep the attention of a younger child. A book that features some different experiments that the child can try on their own is also a good choice. With all of the advancements in technology and the speed at which children are able to pick up on these things, a USB computer microscope might be an option that works well for you. Modern technology has allowed the images to be produced on a computer screen instead of looking through the lenses of a microscope. 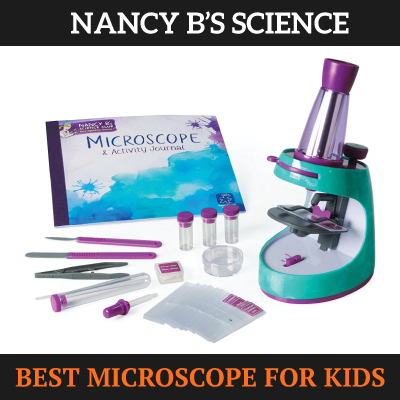 This type of kid’s microscope is very easy to use and may interest your child more. The magnification is basic and the images can be zoomed using the PC. This microscope design is perfect for producing a far more social experience. Everyone in a class can discuss what they are looking at on the screen that is being magnified using a USB computer microscope. 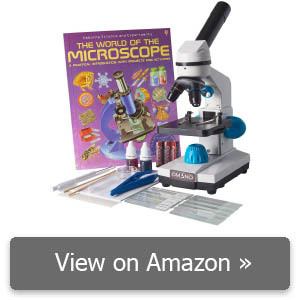 Well, I do believe that completes my buyer’s guide on microscopes for kids. I hope that it fills you in on everything that you need to know. Comments for "Best Microscope for Kids"